I like to be in the know. Sign me up to receive notices on super sales, essential events, powerful posts, and a plethora of important stuff to rock my lil' ol' empowered self. Woohoo. I want expert advice. 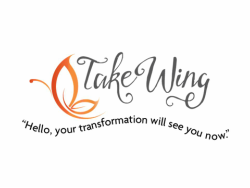 Sign me up for my FREE Take Wing Self Discovery Consult. Yes No Maybe, but want more info Yes, but I have a question. If you choose Phone as your preferred method of contact, please provide a phone number at which you can receive calls. If you prefer Text, please provide your Cell Phone number. Charges may apply. If you opted to be contacted by email, please enter it here.